Canada's Foreign Affairs Minister Chrystia Freeland welcomed what was a widely anticipated development, promising to consult with Canadians on the best way forward. WASHINGTON -- Canada says it welcomes the chance to update the North American Free Trade Agreement now that the Trump administration has officially indicated its desire to renegotiate the deal, triggering a 90-day consultation window before formal talks begin. Commerce Secretary Wilbur Ross says he is putting Congress and trading partners on notice that “free and fair” trade is the new standard in the U.S.
“With this letter, we intend to notify not just Congress, but all our trading partners, that free and fair trade is the new standard for U.S. trade deals,” the statement read. Ross says the U.S. manufacturing industry has been decimated by NAFTA, a deal the White House considers deeply unfair. “Since the signing of NAFTA, we have seen our manufacturing industry decimated, factories shuttered, and countless workers left jobless. President Trump is going to change that,” he said. Canada’s Foreign Affairs Minister Chrystia Freeland welcomed what was a widely anticipated development, promising to consult with Canadians on the best way forward. She reiterated the government's key message on NAFTA — that it is in fact a good deal for all parties, including the United States, where nine million American jobs are dependent on it. “NAFTA's track record is one of economic growth and middle-class job creation, both here in Canada and throughout North America,” Freeland said in a statement. 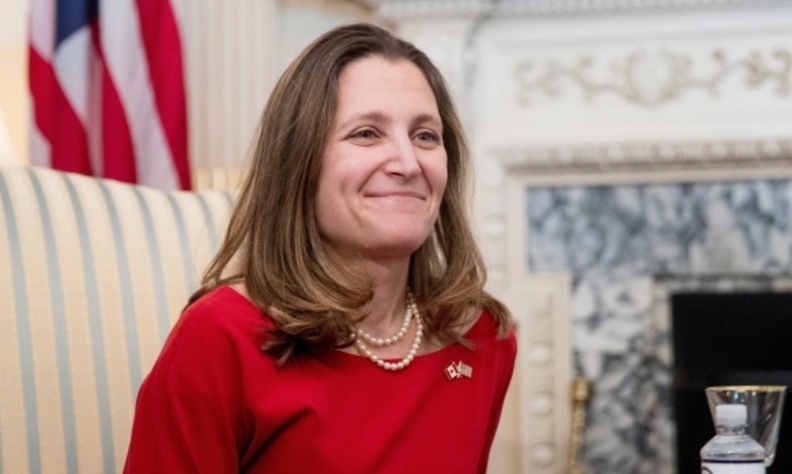 Freeland said renegotiating the trade pact "offers us an opportunity to determine how we can best align NAFTA to new realities — and integrate progressive, free and fair approaches to trade and investment. Ontario Premier Kathleen Wynne said her government sees the U.S. decision as an opportunity to look at how NAFTA could potentially be improved to make the agreement even more effective for the people of Ontario, which is home to several automotive assembly plants and parts suppliers. "Ontario and our U.S. neighbours don't just ‘trade’ — we build things together," she said “Our businesses' supply chains and operations are deeply integrated. "It is important that the way we trade keeps pace with the way we do business. And our government is committed to defending Ontario's interests and strengthening our business relationships with the U.S."
The premier said she will continue to travel to the United States to meet with governors, legislators and businesses in states that have strong trading partnerships with the province. Last month, White House aides indicated he was ready to pull out of the agreement, but within hours, the president reversed course, saying he'd seek a better deal first. Lighthizer says the U.S. is going to give renegotiation “a good strong shot,” saying the 23-year-old agreement needs to better protect American factory workers and to reflect new technologies.